Fourteen number one singles, another ten top five hits - unbelievable isn't it? But despite all the serious number-crunching, it's great to see the hugely-successful Irish vocal quartet displaying a sense of humour on their official website - their lyric of the day is "We had joy we had fun, we had seasons in the sun". Nice one chaps, always good to have a laugh in between rehearsals eh? [actually, they covered that song in 1999 - giving them a Christmas number one - Ed]. Talking of rehearsals, they'll be up and at 'em pretty soon with a follow-up UK tour in 2011. 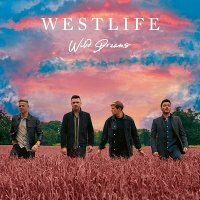 News of a new album has yet to be confirmed, so expect all their usual hits and excerpts from last year's number two album "Where We Are". The first date will take place in Cardiff on 7th March, before the arena tour continues to London's O2 Arena on 11th March and then Nottingham, Liverpool, Glasgow, Manchester, Birmingham and a return to London (Wembley this time) later in the month. At the moment the tour ends in Sheffield on 28th March. Tickets go on sale on Friday 10th September at 9am (Sheffield on Monday) - prices will vary from £37.50 to £40.50 with VIP packages expected to be available as well.